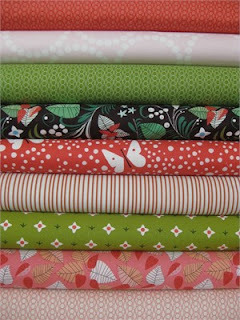 You won 9 Fat Quarters of Lizzy House Hello Pilgrim in cherry/cocoa. We will be emailing you shortly for your information. Thank you everyone who entered this week's giveaway. Don't forget to hop over to Fabricworm! Japanese imports are 10% off until March 8th! Such a cute line! Thanks for the chance.